Saturday Night Live star Jan Hooks has died aged 57. The actress’ agent confirmed she died in New York though no cause of death has been given. Jan Hooks also played Jenna Maroney’s mother Vera in two episodes of hit comedy 30 Rock. Her SNL co-stars included Wayne’s World stars Mike Myers and Dana Carvey. 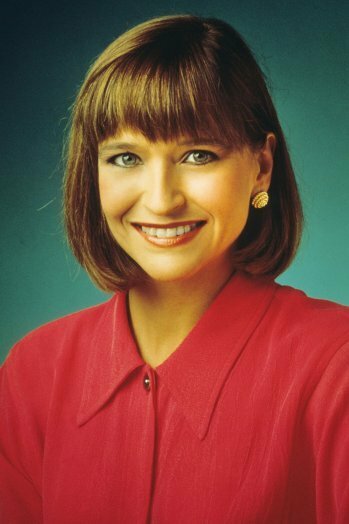 Jan Hooks was born and grew up in Georgia and began her comedy career in the Los Angeles-based troupe The Groundlings, whose alumni include Will Ferrell, Jack Black and Friends star Lisa Kudrow. She was offered a contract with SNL in 1986 alongside Dana Carvey and Phil Hartman – who would go on to voice several characters in The Simpsons, including failed actor Troy McLure. Her impersonations included Betty Ford, Nancy Reagan and Jodie Foster. Jan Hooks’ other TV work included the CBS sitcom Designing Women and Futurama. She voiced Manjula Nahasapeemapetilon in The Simpsons in six episodes between 1997 and 2002 before she was replaced by Tress MacNeille. On film, Jan Hooks had roles in 1985’s Pee-wee’s Big Adventure and played the Penguin’s image consultant in 1992’s Batman Returns.